A highlight of the third annual Pender Harbour Days (July 7-9) was the return of an Allen Farrell boat to the Harbour. The 18’ dory, Buttercup, originally named Peace and Quiet, arrived at the Madeira Park dock on Sunday, July 9, sporting her distinctive junk-rigged sail. ​Using only hand tools, Allen Farrell built over 40 wooden boats of his own design, including Buttercup, his “last but one”. The transfer of Buttercup from the Sunshine Coast Museum and Archives to the Pender Harbour Living Heritage Society on July 9, 2017 honours the close ties Allen and Sharie Farrell had with Pender Harbour, and continues a celebration of their lifetime of graceful boats and a simple way of living. 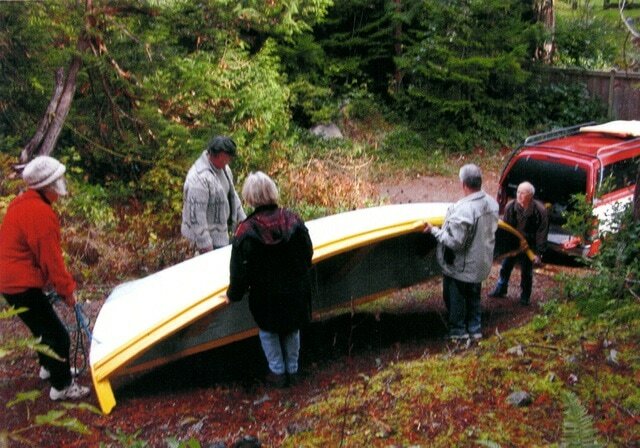 The Pender Harbour Living Heritage Society excitedly accepted Allen Farrell’s sailing dory into its care and looks forward to sharing more of the legacy of the Farrell boat building family. For more information, please contact the Pender Harbour Living Heritage Society. 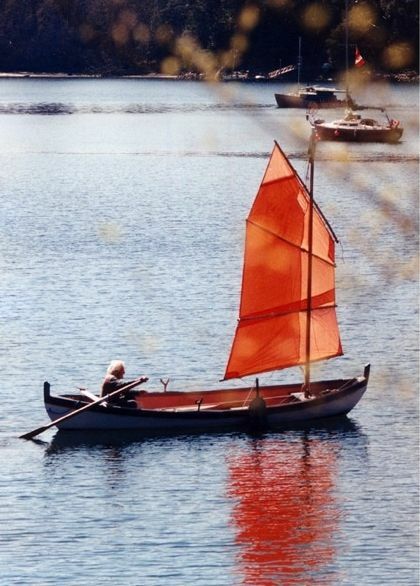 View our Digital Collection to see archival photos of more boats built by Barrie Farrell and his father Allen Farrell. Allen Farrell and Peace and Quiet. Photo by Corlynn Hanney. Buttercup departed from Gibsons Harbour on Thursday, July 6, 2017 with perfect weather and a crew of three (Punk, Bingo, and Slim). They made good time, stopping at Davis Bay for a break and some photo ops and then arriving at Sargeant Bay for the evening. 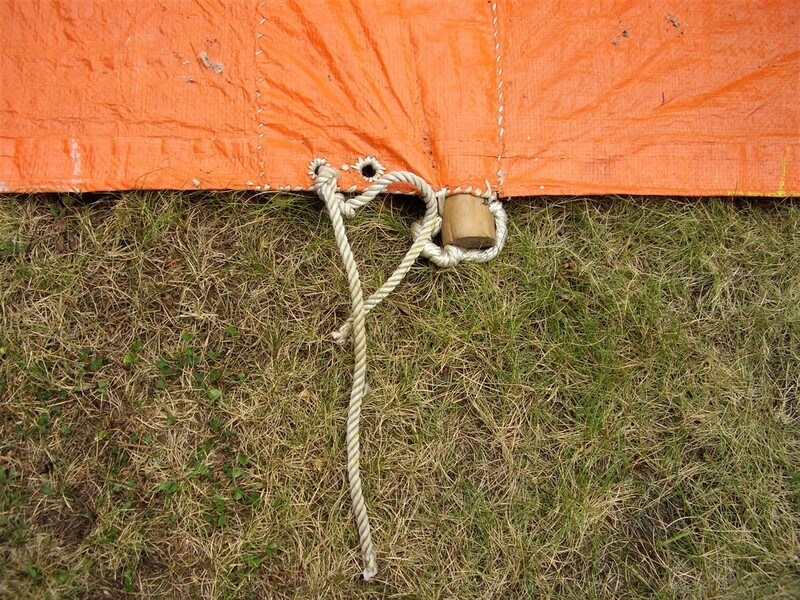 ​Unfortunately, on Friday, July 7, the wind picked up and was too strong for Buttercup and her crew to continue. They made two attempts to get out of the bay but it was just too choppy and they didn't want to risk it. On Friday evening, crew made the tough decision to drive Buttercup the rest of the way up to Pender Harbour rather than be late for the Sunday event. On Saturday, Buttercup and crew enjoyed some leisurely sailing and rowing around the calmer waters of Pender Harbour, and then arrived at noon on Sunday at Madeira Park Government Dock for the welcoming ceremony. 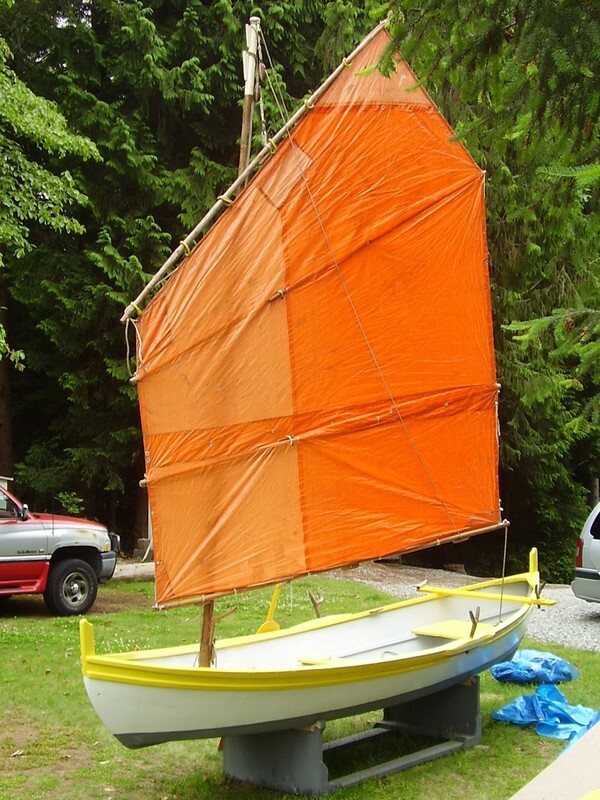 Corlynn Hanney, who was given Buttercup by Allen Farrell in 1997, donated the dory to Sunshine Coast Museum and Archives in 2003 for safekeeping. Here she is preparing for the transfer. Corlynn Hanney fitting the leeboard. 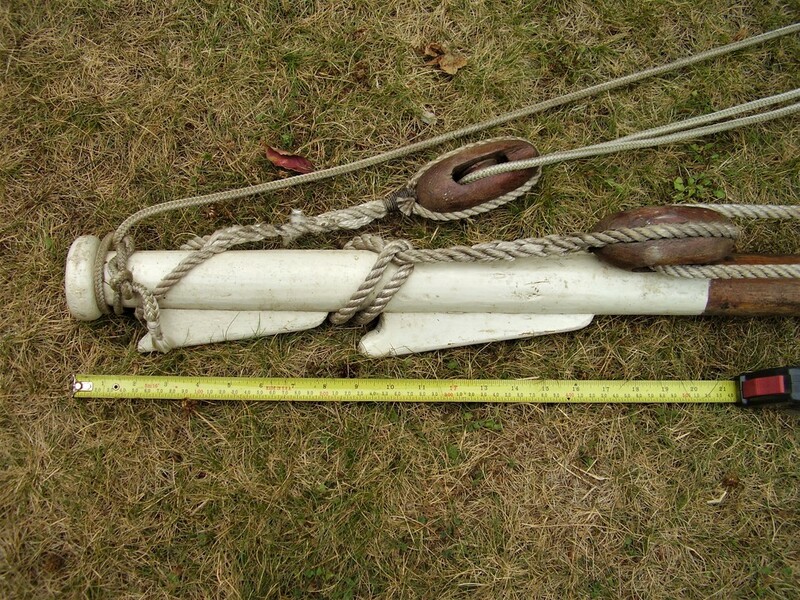 (2003) Leeboards serve the same function as deep keels, centreboards, and daggerboards by preventing the boat from blowing sideways downwind (making leeway) instead of sailing forward. Very shallow and light boats such as Buttercup require something extending deep down into the water to prevent leeway. 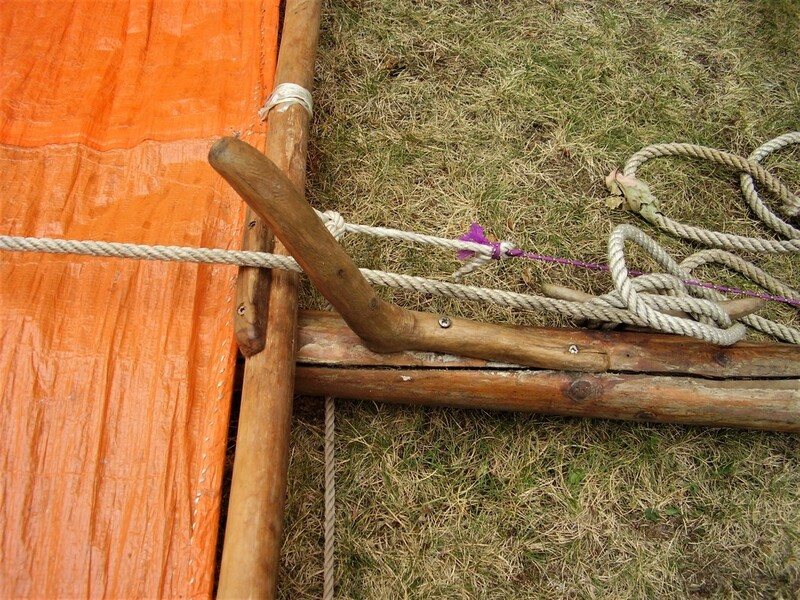 Some leeboard-equipped boats have double boards, one each side, that stay where they are. 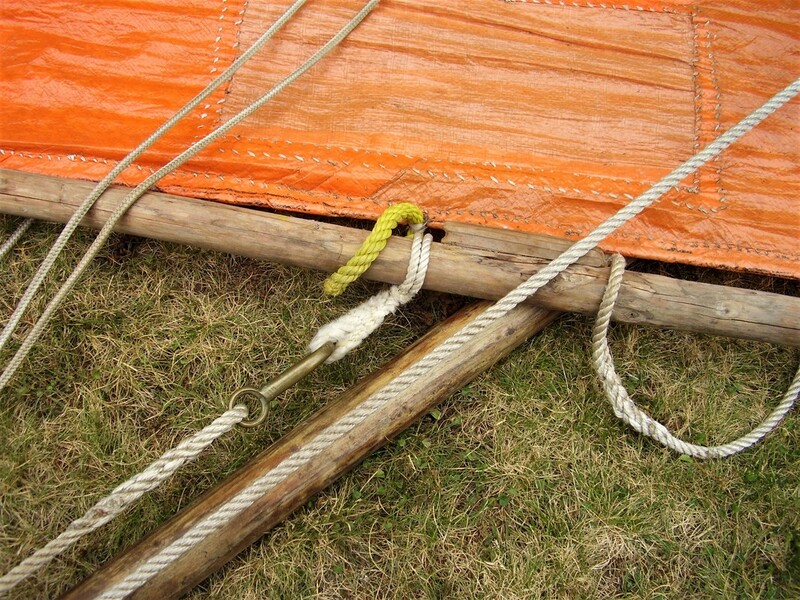 Buttercup has a single shifting leeboard, which is moved to the new lee side whenever the boat tacks. In the care of Larry Westlake and Mike Clement of Sunshine Coast Museum and Archives, Buttercup was well-maintained and often toured around and put on display. 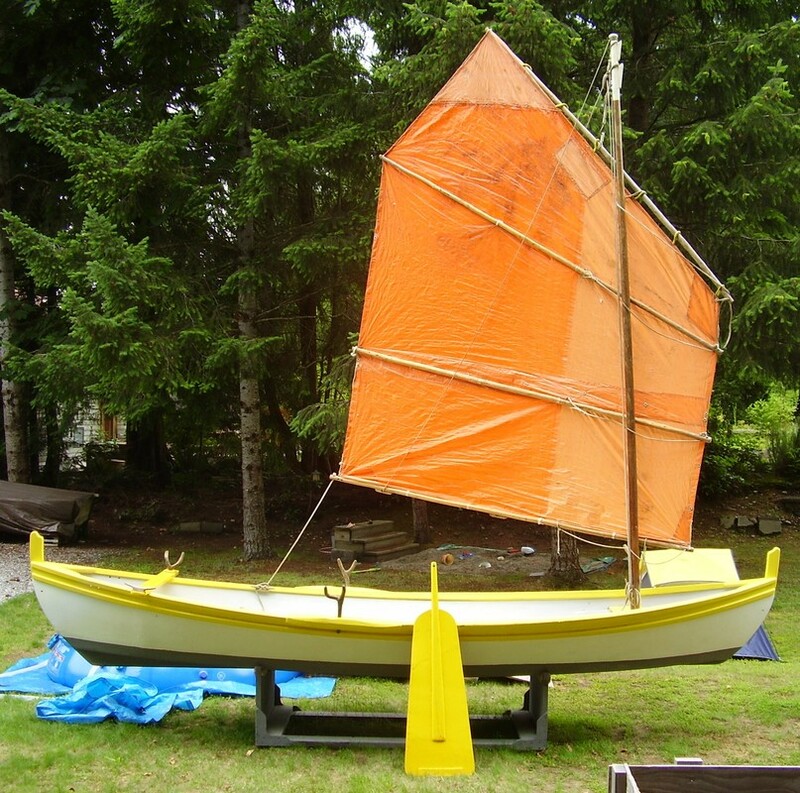 Though she had not been in the water since being donated to the Museum, Buttercup travelled around the coast to take part in many boat shows, and sun does take a toll on paint even under cover. Buttercup has been repainted in part or in whole three times since 2003, most recently in preparation for this journey to Pender Harbour in 2017. A wooden boat in constant use usually requires painting once a year, with ding and damage touch-ups frequently done between full repaintings. 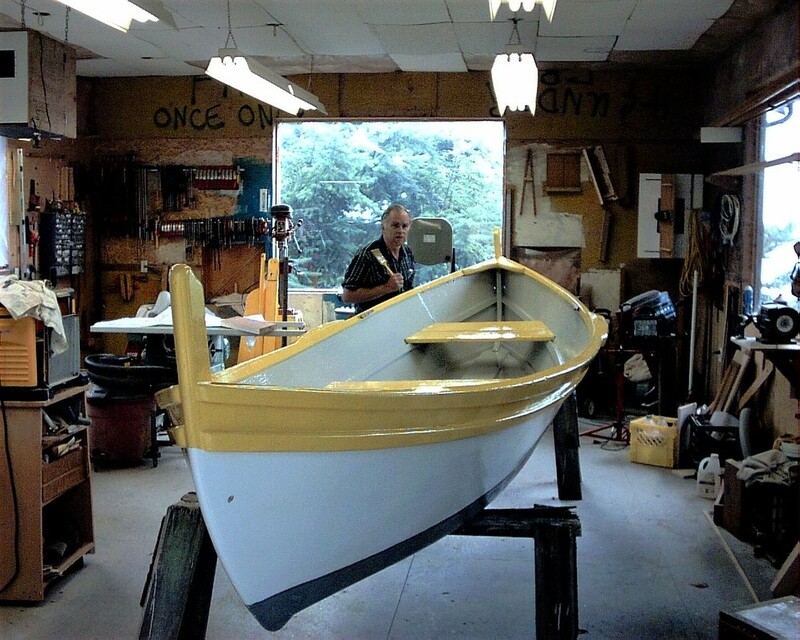 Boat builder Larry Westlake refurbishes Buttercup.